A multi-million dollar lawsuit against the city of Chicago and two others was recently filed by the owners of Linda Construction Inc. (LCI), by owners Linda and Jesse McGee. 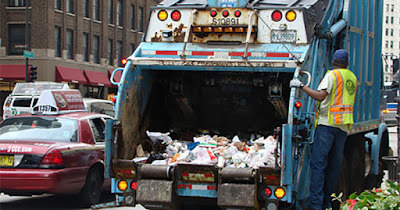 The suit claims that the African-American garbage-hauling company was unfairly denied access to Chicago waste-hauling contracts. The suit is being filed against Allied Waste Transportation Inc., Teamsters Local 731, the city of Chicago and several others. According to information published about the case in Cook County Record, which publishes legal information and news within Cook County, the defendants named in the lawsuit conspired against the African-American owned business to keep them from getting city contracts. In 2010, Allied Waste Transportation was given a waste-hauling contract from the city of Chicago. The stipulation was that Allied had to work with a minority-owned business as a partner for three years during which Allied would provide mentoring. The mentorship would help LCI prepare to bid on large city contracts. However, following the end of the three years, Allied's report on LCI to the city was not favorable. LCI has filed a $24 million lawsuit against the 3, claiming discrimination. Their lawsuit claims that the unfavorable report against them was pure discrimination and that the defendants' report stating that LCI should not be awarded a contract because they could not do the required work was actually a coverup. In their suit, they stated that Allied conspired with the "city government and the Teamsters" to keep them meeting the requirements. As of October 2015, the case is still under investigation.